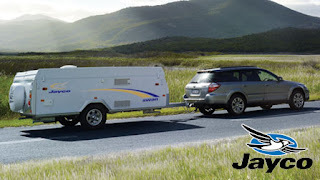 Every year at this time the Caravan and Camping Show is held in Melbourne and every year Shane and I go along and dream about our goal of travelling around Australia in a camper trailer. Every year we look at different types of campers and usually leave loving a new model. We usually buy ourselves some small goody that helps us feeling we are closer to our dream. So once again today we went on our little adventure, but this year we felt a little closer to the dream, we even now know which camper we would like and even got to the point of asking the salesman some techie questions. Our travel dream may not actually take place for a while yet, but as a dear friend has told me for years “There is nothing wrong with planning”. So with the planning in mind I have kept a travel dream file for a number of years now. Every time I read something about somewhere I really want to see and experience I cut it out and in the folder it goes. It is sad that to think for me to get closer to one of my dreams my Dad has had to pass, but I know my Dad and my Mum would want me to follow my dreams and goals with the passion that they have bought me up to have. “Davine Time” update: Sitting in the camper trailer that I will buy and dreaming of the places it will take me. This is the most exciting dream! Wow! Lucky you! I wish you to fulfill it in your nearest future. And then you will write a book. Maybe even better than Robyn Davidson's "Tracks". Yes Davine, you must definitly keep this dream going until you do get there! I would also love to travel more. Nothing wrong with planning either. Some of my plans have seemed daunting & neverending, but yet when the time was right, it all fell into place. Your parents would be really please for you. So find some more destinations to look forward too!! Wonderful dream you have Davine, keep the faith and never lose the dream... they do come true! I love to dream dreams!! Keep on! !